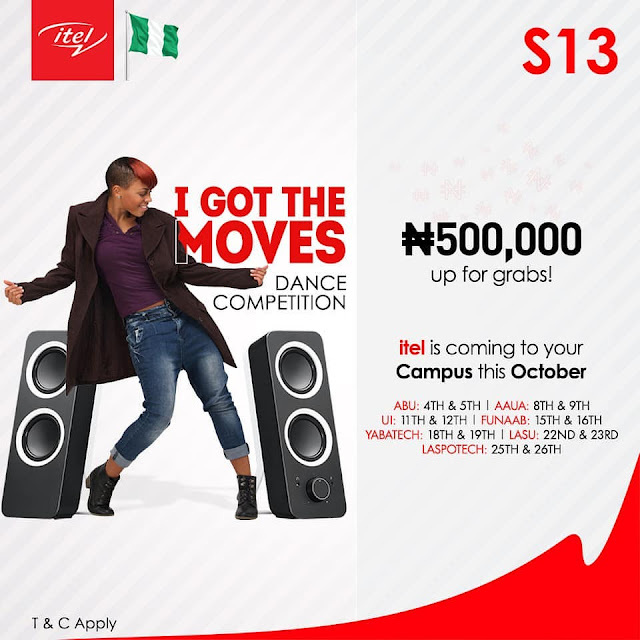 Win N500,000 in Itel Mobile "I Got The Moves" Dance Competition. 2. Record a one minute video of you dancing to the song. 3. Upload in the comment section and get your friends to like your video. Top 5 videos win brand new itel S13 phones with other goodies. The selected winners also attend the grand finale to stand a chance to win the N500,000 grand prize. P.S: You can dance as a group or as individuals. 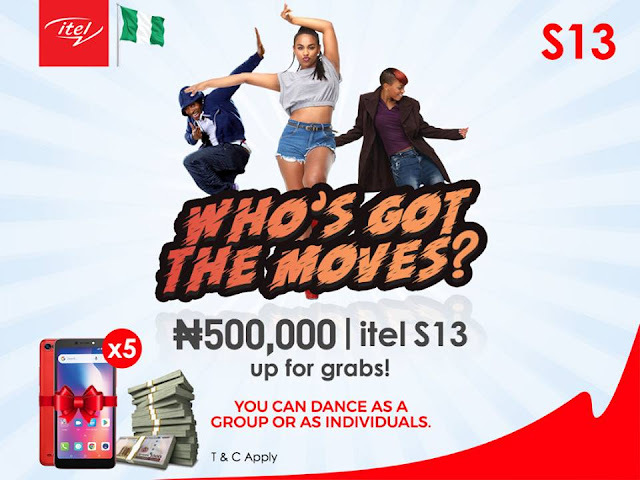 A whooping sum of N500,000 is up for grabs! As we celebrate Independence this October, we will be visiting different schools in different regions as seen below. Find out the date we will be in your school and come battle it out with other dancers. ABU : 4th - 5th.